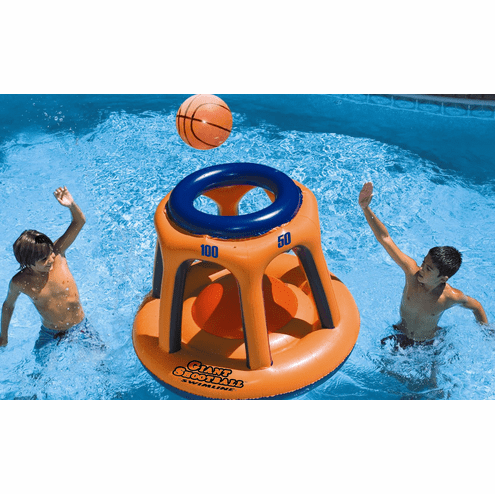 Giant inflatalble multi-port, multi-score basketball game. Live the game Large!! Test your skills and see who can get the highest score, it's not as easy as you think. 48" height, ball included. Larger than life basketball action for the swimming pool.